Fabulous email in my inbox this afternoon from the Google for Education Team. 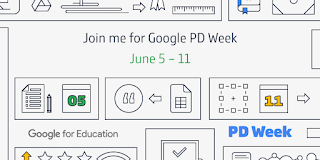 Next week, June 5-11, is Google PD Week. There will be Twitter chats and live stream YouTube events about increasing efficiency, expanding the walls of our classrooms, live Q&A, even gamifying PD. You can find more information and the schedule of events HERE. 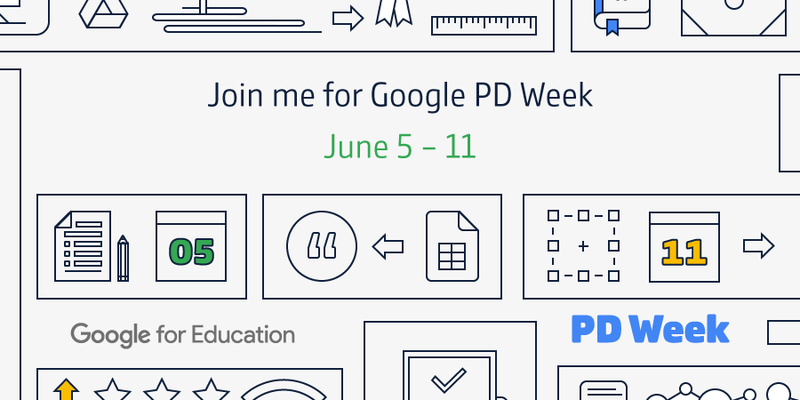 Add the #GooglePDWeek hashtag to your tweetdeck now so you won't miss anything. And use #GooglePDWeek to share out your own best tips for using G-Suite with students and teachers. 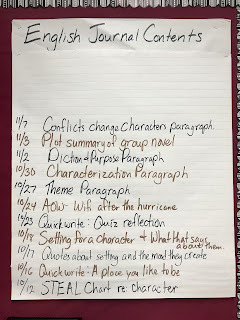 I've got several appointments next week with colleagues who want help using Google in their classrooms, so I know this is something teachers want. Thank you Google Edu Team! 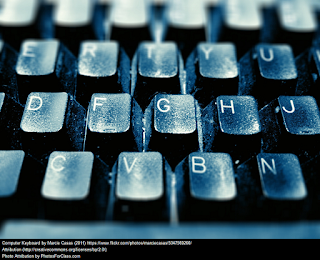 Got a favorite trick for Google Apps with teachers or students? Share it in the comments below.